Why does the price per square foot vary so much on Lake Hamilton? There are many factors that contribute to the value. The main factors are: size and terrain of the land, type of lake view, water depth along the shoreline, age and condition of house, and neighborhood & location. Can you help me find a condo for personal and rental use? Definately! First step is determine the amount of time you plan to occupy the condo for personal use and how much income you expect to earn. There are various rental policies within each complex, and we can help you to find the perfect fit. Should I buy a Home Warranty when I purchase my home? Yes, we recommend buying one for the first year. It will give you peace of mind while you are getting to know the home. Should I get an inspection on the home I'm thinking about purchasing? Yes! You need to know exactly what you are buying. It could be very disappointing to find out after you have purchased your new home that you are going to have to spend a lot of money for unexpected repairs. Should I get a survey on the property I'm planning to buy? If the property is NOT in a platted subdivision, we would definately recommend a survey. If the property is in a platted subdivision and improvements have been made to the property, we would also recommend a survey. Please check with your lending institution. Each individual gets a different rate depending on several things, ie. the rates on the day you apply for your loan, your credit scoring, the condition of the home, the price of the home, the location of the home, etc. A Section 1031 Exchange is method by which a property owner trades a property for a replacement property of "like-kind", while deferring the payment of federal income taxes and some state taxes on the transaction. A 1031 exchange allows you to postpone taxes due on a sale of qualifying properties, which means more money is available to invest in another property. Any gain from depreciation recapture is postponed. What are the general guidelines to follow? The value, equity and debt on the replacement property must be equal to or greater than the value, equity and debt of the relinquished property. All of the net proceeds from the sale of the relinquished property must be used to acquire the replacement property. What are the time restrictions on completing a 1031 exchange? A taxpayer has 45 days to identify potential replacement properties. The entire exchange must be completed within 180 days. What are the steps required to obtain a boat dock for my property on Lake Hamilton? All facilities, structures and activities placed on or over Entergy's shoreline lands or the water require a permit from Entergy prior to installation or placement. Examples include boat docks, seawalls, riprap, boardwalks, PWC docks, piping for irrigation systems of HVAC geothermal loops, etc. You may contact the Lakes and Property Coordinator of Entergy at (501) 844-2148 to request a permit application packet. 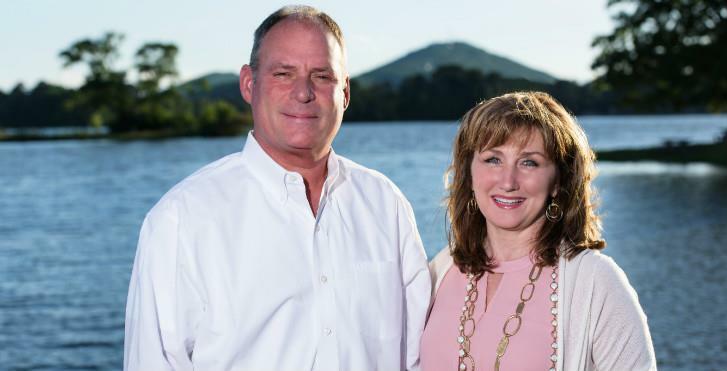 Entergy also has a quarterly newsletter that is full of good information about Lake Hamilton & Lake Catherine ... be sure to ask to be added to their mailing list. Why Choose a REALTOR® With a CRS designation? Buying property is a complex and stressful task. In fact, it's often the biggest single investment you will make in your lifetime. At the same time, real estate transactions have become increasingly complicated. New technology, laws, procedures and the increasing sophistication of buyers and sellers require real estate practitioners to perform at an ever-increasing level of professionalism. So it's more important than ever that you work with an agent who has a keen understanding of the real estate business. The CRS program has helped the best and the brightest in the industry achieve that level of understanding.